Matera, Joseph - Groelle & Salmon P.A. Before joining Groelle & Salmon, Mr. Matera worked for a plaintiff’s insurance firm and also as an Assistant State Attorney. As a plaintiff’s attorney, Mr. Matera, among other things, researched various insurance legal issues and drafted “bad-faith” civil remedy notices. While an Assistant State Attorney, Mr. Matera litigated thousands of cases from the initial inception of the case through a jury trial if necessary. As lead Prosecutor, he litigated eighteen (18) jury trials. He also defended against various Motions including Motions to Suppress Evidence; Motions to Dismiss Charge; Motions in Limine; and Motions for Judgment of Acquittal. Mr. Matera was raised in the Tampa Bay area where he attended high school in New Port Richey and earned his bachelor’s degree from the University of South Florida. Subsequently, he graduated with honors from the University of Florida Levin College of Law in May of 2012. For a semester in law school, Mr. Matera was a legal extern at the Gainesville State Attorney’s Office. During a summer semester in law school, he volunteered at the Gainesville State Attorney’s Office where he earned a pro bono certificate for his work as a volunteer. Additionally, Mr. Matera was also a Senior Research Editor for the Florida Journal of International Law and a Research Editor for the Florida Journal of Technology Law and Policy. 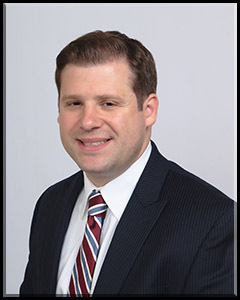 Mr. Matera is a member of the Florida Bar Association and is eligible to practice in all Florida state courts.